Are you looking for a home to buy at low price? If you are looking for such homes, then foreclosed homes would be best for you. You can easily buy a foreclosed home for much less than its original market price. Now if you are thinking that it’s hard to find foreclosed homes that are on sale, let me tell you that according to RealtyTrac’s latest foreclosure report, “Almost 19 percent of all homes have foreclosed in QE3 2012.” Talking about figures, there are 193,059 homes that are in foreclosure sale. To help you out, following is the list of cheapest foreclosed home cities. Dayton city has the cheapest price of foreclosed homes throughout United States. The average foreclosure sale price in Dayton is $60,154. The foreclosure savings are 52.13 percent at an average. The number of homes listed for foreclosure sale in this city is 650. Toledo is also listed as one of the cities with the cheapest foreclosed home price in U.S. The average foreclosure home price in this city is slightly higher than Dayton i.e. $64,072. The foreclosure saving in Toledo is 45.91 percent and, the number of homes that are listed in foreclosure sales is 569. Ohio also has the third most cheaply foreclosed home cities throughout U.S. In Cleveland-Elyria-and Mentor, the average foreclosure home price is $75,883. The foreclosure saving is 49.95. Altogether, there are 1406 homes listed for sale. Memphis, Tennessee is listed at number 4. The mean foreclosure price in Memphis is $82,186 and, the average foreclosure saving is 47.82 percent. There are 574 houses listed in foreclosure sale. Harrisburg and Carlisle are the two cities, holding the 5th position in the list of cheapest foreclosed homes in third quarter 2012. The average foreclosure home price in these two cities is $88,681. The foreclosure saving in these cities is almost 47.82 percent and, there are very few houses that are listed on foreclosure sale. Talking about the actual figure, only 92 houses are listed on foreclosure sale. Another city of Ohio i.e. Columbus is listed at number six for the cheapest foreclosed homes in U.S. The average price of the houses listed in foreclosure sale is $99,846. The savings on foreclosed houses in this city is around 46.79 percent. There are 1,252 houses listed on foreclosure sale. The three cities of Wisconsin State, Milwaukee-Waukesha and West Allis are on number seven of the cheapest foreclosed homes. The average price of foreclosure sale in these three cities is $111,225. The average foreclosure saving in these three cities is 46.55 percent and, the number of houses listed on foreclosure sale is 952 cumulatively. Atlanta-Sandy and Springs-Marietta are listed at 8th, as the cheapest cities on the list of foreclosed homes. On an average, the foreclosure sale price in these two cities is $113,358 and, the foreclosure saving in these cities is 45.64 percent. 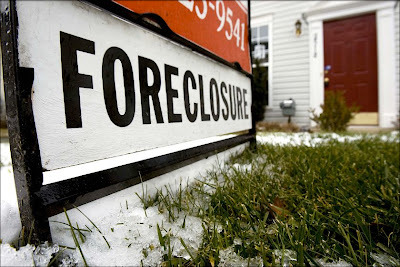 There are 10,286 homes up for foreclosure sale. Springfield city of Massachusetts State is listed at 9th. The mean foreclosure sale price in Springfield is $115,409. The foreclosure saving is 45.99 percent and, the number of houses listed on sale is 246. Chicago, Illinois, Naperville, Indiana State and Joliet, Wisconsin are listed at number ten as the most cheaply foreclosed home cities in United States. On an average, the foreclosure sale price in all three cities of three different states is $139,650. The foreclosure saving is around 48.32 percent and the number of houses listed on sale is 9,262, collectively. Author Bio: This article is written by Allison K Watkins a mortgage professional. She writes informative articles that help people get mortgage loans -especially people with bad credit. You can read more of herarticles on the site Badcreditwhiz.com (Link: http://blog.badcreditwhiz.com). You can also contact her at allisonkwatkins@gmail.com or by following her tweets @allisonkwatkins (Link: https://www.twitter.com/AllisonKWatkins). Looks like Ohio is the place to go if you're in need of cheap home!